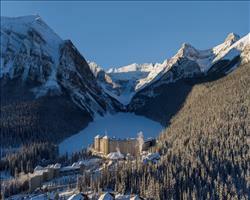 It frequently comes as a surprise that Lake Louise, a resort dominated by the palatial 18th century Fairmont Chateau, is actually home to other hotels. More modest properties like the Lake Louise Inn and the Deer Lodge down in the village, are often eclipsed by the giant on the water's edge, where the extracurricular activities will keep you busy for a month. 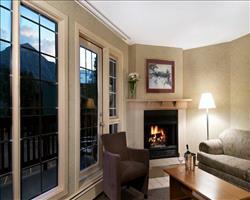 Both properties, however, are well worth looking into - the Deer Lodge's a historic property that will delight relaxation seekers, whose Caribou Lounge is built to match the original 20s teahouse, while the Inn offers a wide variety of rooms, suites and condos that work well for groups. On a smaller, more intimate scale, the Post Hotel is a gorgeous member of the Relais and Chateaux hotel collection which, with past guests praising the widely acclaimed cuisine and spa. 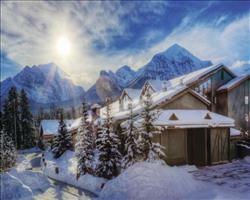 Check out more Ski Hotels in Canada to see what’s on offer outside of Lake Louise, or to expand your search further, our main Ski Hotels page lets you filter through thousands of properties the world over.